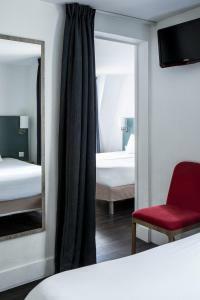 Located in central Paris, the Hôtel Beaurepaire (République) is just a 10-minute walk from Gare de l'Est and Gare du Nord Train Stations, which offer international routes. It has a 24-hour reception and free WiFi access. 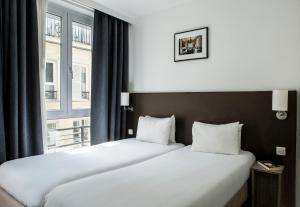 Each room is equipped with a TV with satellite channels. 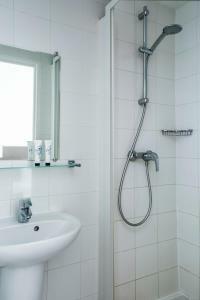 All of the bright rooms have a private bathroom fitted with a hairdryer. A continental breakfast is served every morning in the breakfast room at Hôtel Beaurepaire (République). République Metro Station is 300 metres from the Hôtel Beaurepaire (République) and provides access to the famous department store Galeries Lafayette and the Opéra Garnier. 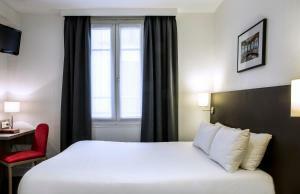 The Montmartre and Pigalle districts can be reached in a 20-minute walk. Please add that any reservation for more than 5 rooms, special policies apply and could incur extra fees. This room features satellite TV and free Wi-Fi access. The en suite bathroom includes a shower and a hairdryer. This room can not accommodate an extra bed or a baby cot. This room features satellite TV and free WiFi access. The en suite bathroom includes a shower and a hairdryer. Extra features include a desk and a safety deposit box. 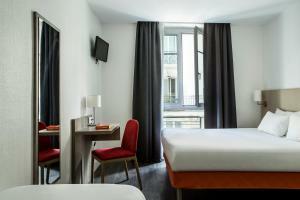 This twin room has a flat-screen TV and free WiFi access. The en suite bathroom includes a shower and a hairdryer. 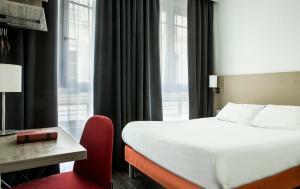 This single room has a flat-screen TV and free WiFi access. The en suite bathroom includes a shower and a hairdryer. Rate: € 84.43 ... € 218.67; select dates below to get current rates.